Concordia Street really is an ideal spot for a riverside development; it is picturesque and quiet yet still within the actual city centre. And this is exactly what makes a property like The Quays so very desirable. 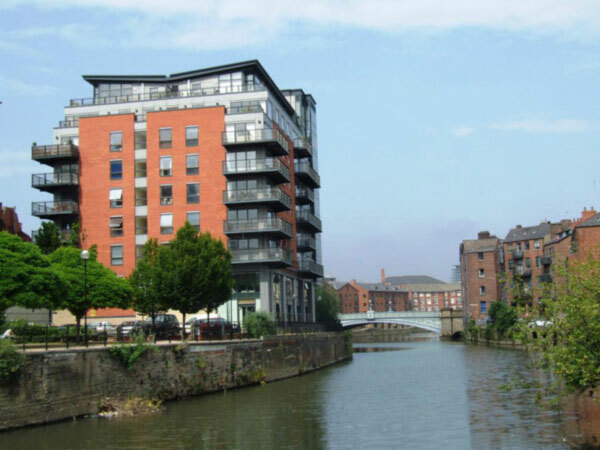 The Quays is a modern apartment block that sits right on the edge of the River Aire the balconies on its southern side overhanging the water below. This may be quite a plain and square-looking structure but the quirky roof and sticky-out corners manage to make it a little more interesting. The apartments themselves in this development have spacious rooms along with superb bathrooms and kitchens. Windows are large allowing plenty of light inside and there are some wonderful views of the river and its old warehouses. This building also has a concierge and a number of very plush communal areas. If you are looking for a riverside location with all the conveniences of the city centre you cannot go far wrong with a property such as The Quays.